By: The Gasper Law Group, PLLC. Under Colorado law, child support may be modified where the parties mutually agree to change custody of their minor child/children. Yet, the law becomes hazy when determining the impact this mutual agreement may have on the modification of child support. Questions arise: Is child support modified at the time the custody actually changed or at the time a party files his or her motion? May the support obligation be modified for the obligor/payer, the Obligee/receiver, or both? Does the court retroactively apply the modification? What happens to any child support debt or arrearages existing prior to the modification in the event the change in child support is applied retroactively? 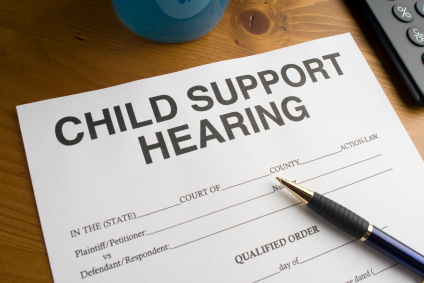 Will the child support enforcement units of each state recognize the modification? Colorado Revised Statute 14-10-122(5) specifically states “the provisions for child support for the obligor (payer) under the existing child support order, if modified pursuant to this section, will be modified as of the date when the physical care was changed.” Though this language appears simple enough, the divisions of the Colorado Court of Appeals have uncovered a complexity in the language. One division of the Court of Appeals determined this language allowed for modification of child support from the date the custody changed. See In re the Marriage of Emerson, 77 P.3d 923 (Colo. App. 2003) Whereas another division found the exact same language allowed only for modification from the date the motion was filed. See In re the Marriage of White, 240 P.3d 534 (Colo. App. 2010). Further, neither division could agree if the modification was only applicable to the original obligor or if the modification may be applied to the obligee. You may asking yourself, “what does this matter anyway as long as the child support payment changes?” These are good questions and the answers are even trickier! Trial courts and the parties appearing before the court are left in some sort of a no-man’s-land when panels of the Court of Appeals render conflicting decisions on seemingly the same subject (they are not the same as it turns out) and without the benefit of further guidance from the Supreme Court or our legislature to reconcile the decisions. The result? The potential for one judge ordering a modification from the date custody changes while his colleague down the hall orders modification from the date the motion was filed. Practically speaking, this means the result in your case may differ substantially from that of your neighbor … and guess what … both judges may have applied incorrect rationale for the modification. This quirky issue, spawned from this particular statute and subsequent case law, is yet another example of the lurking complexity beneath legislation and the interpretations echoing through the halls of our court rooms and the appellate courts. Call THE GASPER LAW GROUP to discuss your particular case and for our candid analysis on the legal implications and possible interpretations of the issues affecting you.